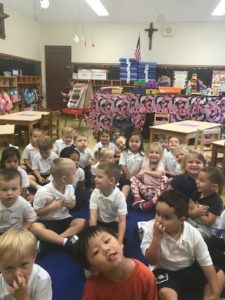 *IF YOU ARE A PART OF OUR NURSERY FAMILY AT ST STAN’S FOR 2018-2019 PLEASE DONT FORGET TO CHECK YOUR GMAILS (AND PERSONAL EMAILS) FOR INFO ABOUT THE FIRST WEEK OF SCHOOL! Our morning session consists of a Gross Motor or Fine Motor period, followed by morning prayer and religion story, a snack, open play and a craft. 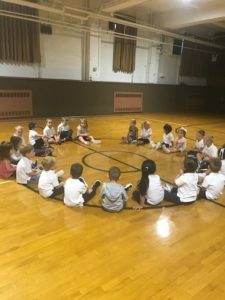 Focus is on skills for activities of daily living, socialization, self awareness and self control and includes an emphasis on prayers, letters,numbers and colors. 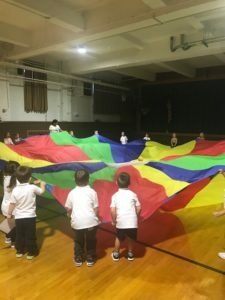 Each afternoon, after lunch and nap , our second session will explore an Early Childhood “S.T.R.E.A.M.” program that includes more detailed Science/Engineering,Technology/Math, Religion, Art and a Music with Movement Class. 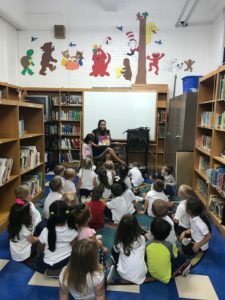 Pre- reading and Pre- writing skills are introduced. Come and join us for a fun filled and nurturing introduction to the learning environment!